As a youngster I had two maiden aunts who spoilt me rotten. In the back corner of my grandfather’s vast section there was an oak tree with a hollowed-out trunk where apparently fairies resided. On those rare occasions when I was well-behaved they would suggest I go and talk to these invisible creatures and a treat might magically appear on the windowsill outside the kitchen. On one occasion I espied my aunt Joan placing a chocolate bar on the said windowsill and from then on I knew there were no fairies at the bottom of the garden. I didn’t let on of course; I milked the situation for as long as I could. It was the same with Father Christmas. There was inevitably a smart-Alec kid in the primers whose parents were either liberal-minded or just plain mean-spirited who revealed to us that Santa was not real, but for years we still went along with putting a bottle of beer and some edible morsels beside the fireplace on Christmas Eve. 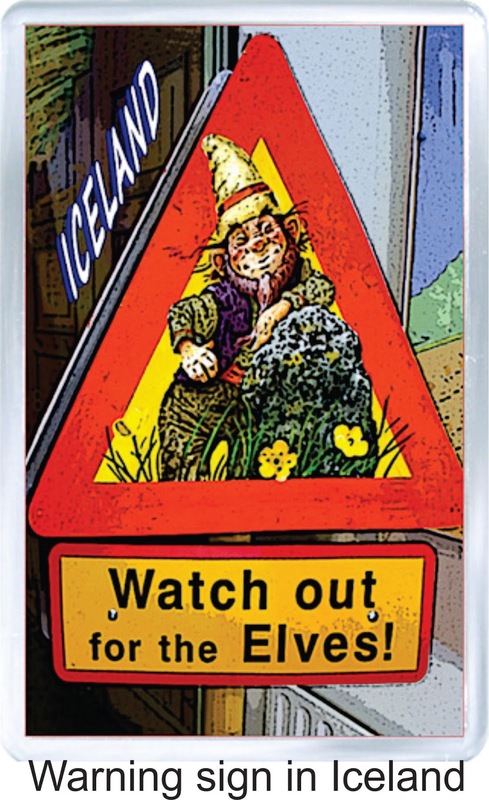 And so it came as a bit of a surprise when I found out last week that the majority of Icelanders believe in the existence of elves. But then Iceland’s soccer team, managed by a part-time dentist, inexplicably beat the multi-million-dollar England football prima donnas in the prestigious Euro 2016 competition and the startling information about the Icelandic propensity to believe in the paranormal surfaced. Apparently major road constructions in Iceland are regularly diverted at great cost so not to disturb elves’ resting places and a survey, with a result mirroring Britain’s Brexit poll, confirmed that most Icelanders are convinced the little creatures exist. The conditions described by the learned professor sound remarkably like the New Zealand encompassment so I might have to revisit my childhood. No good looking for the fairies at the bottom of the garden, my grandfather’s oak tree has long since gone, but given that elves are supposed to be Santa’s little helpers, I now want to throttle the kid in the primers (I don’t think his name was Alec) for denying me the lifelong pleasure of knowing Father Christmas was in fact the real deal. And if it wasn’t for their inclement weather I would probably immigrate to Iceland.